Hold on to your fjords avant garde music fans, the Icelandic Björk has new album coming. In an announcement on her Facebook page, it was revealed that she will be releasing a new album next year. The post reads, “We are so sorry, but since Björk is already working on her next album (out in 2015!) she can not come to the Biophilia Live premiere at the London film festival this week. Many sorries, and be well.” Biophilia Live is the concert documentary that followed her two-year long tour in support of the multimedia album that was released in 2011. Along with music, Biophilia included a series of museum exhibitions around the world, smartphone apps, and a multidisciplinary education outreach program. It was an ethereal, technological look at life on earth. It was very, very Björk. Since Biophilia was so focused on the matter and processes that makes up life on Earth, it would be fascinating to see her go even more planetary. 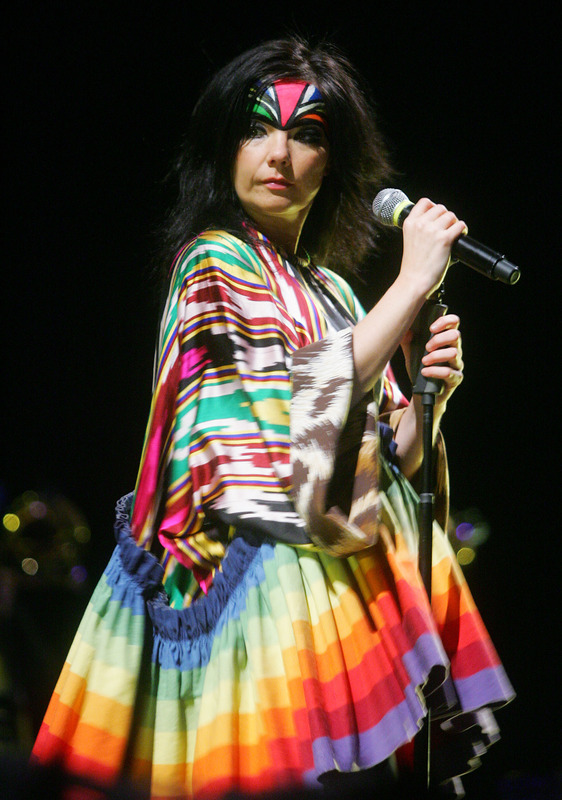 If Ziggy Stardust can go to Mars, so can Björk. Maybe Björk will go back to lo-fi basics after the huge undertaking that was Biophilia. Maybe even a strictly vinyl release? Nah, scrap that. It’ll be bigger. Who am I kidding? Björk is gonna blow the lid off with the next album. It’ll be bigger, more experimental, and wilder than ever. I want choirs, orchestras, aerial dancers, the Blue Man Group, and the United States Supreme Court all up in this. Though she usually sings in her native Icelandic tongue, maybe this next album will go global. Considering how far-reaching her fanbase is, it would be interesting to hear her spin on music from all around the world. Along with her music career, Björk has also dabbled in acting, including Lars Von Trier's 2000 indie hit Dancer in the Dark. Since Biophilia was made into a documentary, perhaps this next album will be made for the sole purpose of a film she's also creating. Björk is not one to shy from voicing her opinion on matters of the world. She was very vocal about Scottish Independence, so perhaps we will get more of a taste of her political flare in her next big project.